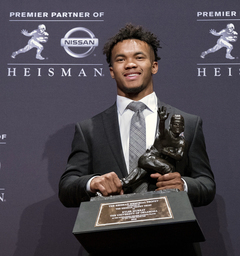 MESA, Ariz. (AP) Kyler Murray's locker remained empty on Monday in the spring training clubhouse of the Oakland Athletics, who say they are uncertain when or if the Heisman Trophy winner will report to the baseball team he signed with last summer. 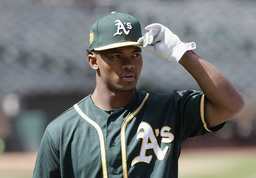 Billy Beane, Oakland's executive vice president of baseball operation, said talks are continuing with Murray, who may drop baseball to pursue an NFL career. The outfielder was selected ninth overall last June and agreed to a minor league contract that included a $4.66 million signing bonus. The A's start full-squad workouts Saturday, a day after their position players report.